The longest tenured Penguin is no longer a Pittsburgh Penguin. Brooks Orpik has signed a deal to see him head to the Washington Capitals for five years at $27.5 million. The former first round pick, chosen by Craig Patrick in the 2000 NHL Entry Draft, began his playing career with the Penguins in the 2002-03 season with a cup of coffee on a rebuilding Penguins squad. From there he would bloom into a hard hitting d-man that the opposition feared. The Orpik, known as a physical presence on the blue line, had a legend grow and fade in his time with the Penguins. 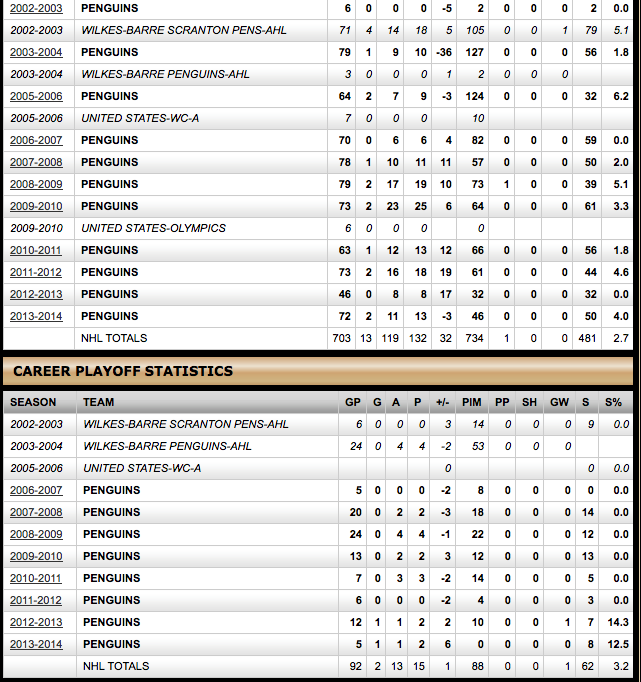 Known for "The Shift" he'll always be a key part of the Penguins team that won the Stanley Cup in the 2008-09 season. He moves on despite a large amount of fans wishes. A once thought candidate to retire a Penguin, he'll likely join the Penguins wall of fame as an all time Penguin once his playing career over. After making a career's worth of memories in Pittsburgh "Free Candy" has a whole new meaning. He will look to revive his career in Washington with former assistant coach Todd Reirden and new coach Barry Trotz as his physical play seemed to slow him in recent years and only glimpses of The Shift and the Orpik fans knew and loved would show.